(Macao, Dec. 28, 2015) – Cotai Water Jet will introduce three new promotions to coincide with the New Year. The offers, one of which is available exclusively via the Cotai Water Jet Facebook page, will give discounts on tickets, flexibility when it comes to boarding and free gifts to help visitors enjoy their time in Macao, ensuring that 2016 continues with the same customer-focused service Cotai Water Jet is known for. From Jan. 1 to Jan. 31, 2016, customers who spend MOP/HKD 500 or more on full fare City Route Cotai First tickets will receive a Cotai Water Jet New Year Fortune Bag. The bags all contain one of almost a dozen prizes which offer a range of discounts and coupons for attractions in both Macao and Hong Kong. Prizes available include, but are not limited to, discount vouchers for Cotai Water Jet, discounted tickets for Madame Tussauds in Hong Kong and a one day CTM Wi-Fi card. 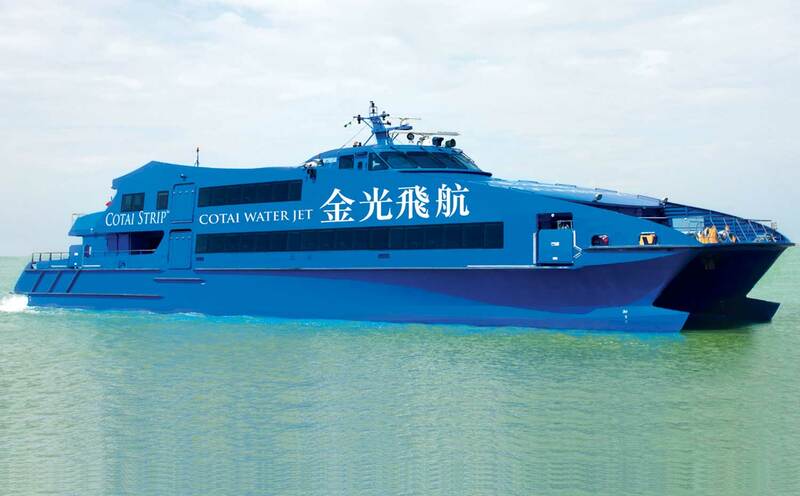 Starting Jan 1, 2016 Cotai Water Jet City Route Cotai First full fare ticket holders who arrive after boarding has completed will be able to take the next available sailing at no extra charge within an hour (subject to availability) of their original sailing schedule. This new flexible service will be particularly valuable to busy business travellers who often have tight schedules and as it gives them a second chance to take the next ferry if they miss the first one. With complimentary Wi-Fi in the departure hall and the first class cabin, Cotai First passengers can keep in touch with friends or work as they travel. First class passengers can also enjoy a delicious meal box during their journey. To enjoy these great offers visit https://www.facebook.com/cotaijetferry to become a Cotai Water Jet Facebook fan. Cotai Water Jet operates daily from 6:30 a.m. to 3 a.m., with sailings every 30 minutes between 6:30 a.m. and 11:30 p.m. In-person, online or on board, travellers can enjoy Cotai Water Jet’s quality service with several valuable offers throughout 2016. Photo caption: Cotai Water Jet will provide a series of ticket promotions to welcome the New Year. Launched in November 2007, Cotai Water Jet is the premium high-speed ferry service between Hong Kong and Macao. As of January 2015, the maritime jet fleet has serviced more than 44 million passengers, and averages approximately 88 daily sailings. Its 14 custom-built catamarans have the capacity to carry more than 400 passengers each and operate at top speeds of approximately 42 knots. Passengers on Cotai Water Jet have a choice of three classes of service, with direct sailings between ports in Macao, Taipa, Hong Kong, Kowloon, and the Hong Kong International Airport providing an important transportation option for both locals and visitors of Macao. 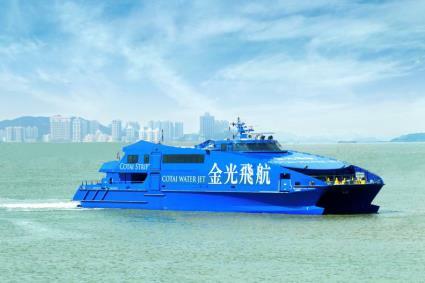 The Cotai Water Jet service is managed and operated on behalf of owner Sands China Ltd. by Chu Kong High Speed Ferry Co. Ltd. of Hong Kong.